One DeKalb County School District (DCSD) school recently claimed top honors in science, technology, engineering, and mathematics (STEM) at a nearby aviation museum. McNair Middle School’s eighth grade STEM team was named Team of the Year by the Museum of Aviation Foundation in Warner Robbins, Ga., for the 2017-2018 school year. 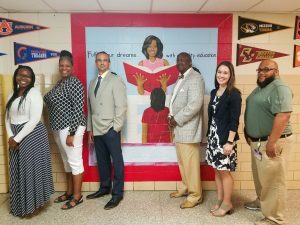 The team—made up of teachers Clare Gravolet, Tonya Green, Robert Russo, and Athalia James—became the foundation’s choice on Aug. 2 in a contest open to all Georgia teachers. As winners, the team will be awarded $1,000 at the 8th annual Georgia NASA STEM Conference. The conference will take place on Aug. 25 at the Museum of Aviation. The conference will include a luncheon as well as a brief award ceremony. Gravolet attributes the win to McNair Middle in its entirety, largely due to the school’s approach to STEM. According to her, a true STEM approach requires a paradigm shift in a school’s thinking. “When people hear about STEM programs, they generally don’t think of social studies as being involved. 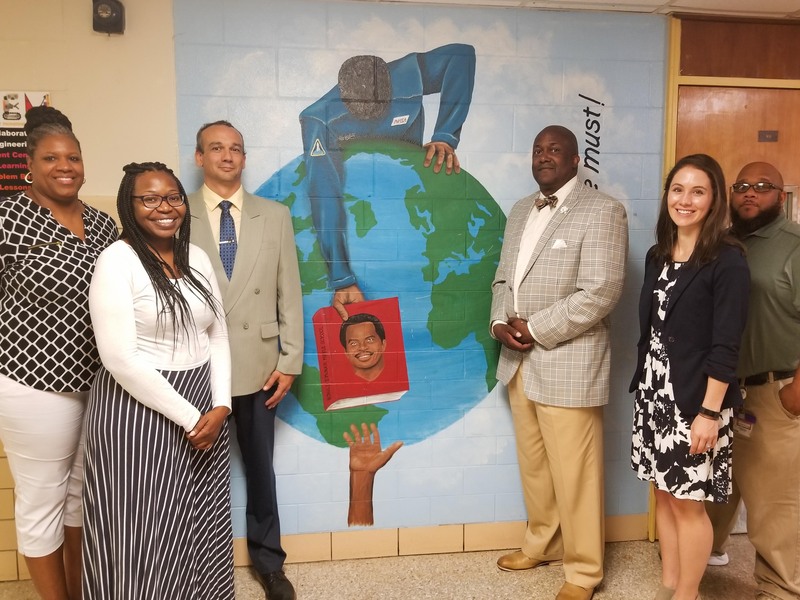 Here at McNair Middle School, the STEM program incorporates all subjects, and we encourage students to utilize all of their academic and creative skills to tackle a problem,” Gravolet said. A favorite project of Gravolet’s was “A New War, a New Type of Thinking,” in which social studies students took a STEM approach to the Vietnam War. Students discussed chemical warfare, guerilla warfare, the role of media, and civil rights issues related to the conflict. By the end of the study, students were connecting the Vietnam War to current global issues. According to Gravolet, the experience of approaching subjects through STEM made the team better teachers. The students, she said, reaped the true benefits through state testing, thinking abilities, problem-solving skills, and teamwork. Green’s mission, no matter what subject, is to communicate and extend her love of mathematics. DCSD has placed STEM as a top priority, as the district considers it a major component in creating future-minded, career- and college-ready students. 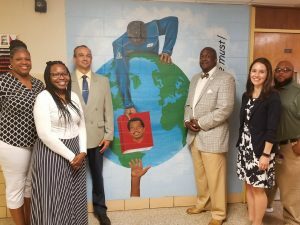 In May 2018, AdvancED—an international authority on education accreditation—certified McNair Middle as well as Oak Grove Elementary and Henderson Middle as STEM schools. STEM schools offer students access to such hands-on projects as robotics, aquaponics, a school garden, downhill racing, as well as facetime with industry professionals, among other programs. In total, DCSD currently offers 26 STEM-certified schools districtwide.